Designers are often asked to “solve a problem” that exists. These problems need to be fixed because people are unhappy about something that’s either happening or not happening—there’s a perceived need. It’s commonly understood in the business environment that “design” is a solution to a problem. That other kind of design activity—creating—is reserved for interior decorators and artists and is more easily recognized in reception areas than in the cubicles and offices where people do their work. What does a problem look like? Company X has a problem. Upset customers have lodged dozens of complaints about rude and unhelpful customer service representatives. The manager of this group of employees is convinced the problem can be solved by better training. She convinces her supervisor that the CSRs need training designed to solve their problem. The supervisor agrees to find a solution. What does a solution look like? Company X CSRs are put through a 2-day training program. They’re told that customer surveys will be used for 30 days following their training to collect data that will verify the effect of training. Customer surveys do indicate that the problem—irate customers—is less intense. Complaints against the CSRs drop by 50 percent and the supervisor’s successful handling of the problem is recognized during a meeting the following month. Then, within a matter of four months, the 50 percent drop in complaints disappears. What happened? What’s the alternative if designing solutions to problems doesn’t work? Creating and problem solving involve very different states of mind. Creativity activates positive thoughts while problem solving is focused on what is negative. Creating is forward focused; it’s building toward the future. Problem solving is focused on the past; it’s resisting what has been. What does creating look like? Conceive of the result you want to create. Creators start at the end by knowing what they want to create. Know what currently exists. If you don’t know what has already been created, it’s impossible to know what to do next. Take action. When you know what you want and what you currently have, take action. Creating is a learning process, so every action may not work. When actions don’t work, readjust. Learn the rhythms of the creative process. There are three phases: germination, assimilation, and completion. Create momentum. Professional creators create momentum. The seeds of their next action are planted and germinate in their present actions. Notice that the word “problem” is not present in these five steps. The tone is positive and growth oriented. What do you think could happen at Company X if customer complaints were approached from a creative rather than a problem-solving mindset? 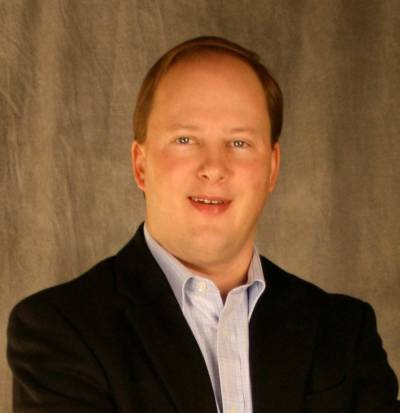 J Hruby used to be the vice president of sales and marketing of Fredrickson Learning. He used to manage the sales team and was responsible for Fredrickson’s marketing strategy, web presence, events-based marketing initiatives, speaking engagements, and many other facets of Fredrickson’s marketplace presence. He has over 20 years of experience in the training and talent development industry as a marketer, manager, program manager, instructional designer, business analyst, and classroom trainer. To me, it comes down to this issue: Are we using technology (trends) to support our L&D strategy? Or, are we letting those trends drive our strategy? What Questions Should I Ask My LMS Vendor About Tin Can API?